Diane arrived at CIU when Andy enrolled in seminary and served as the Wives Fellowship President. Diane is a recipient of the Council for Advancement and Support of Education award in Alumni Relations. 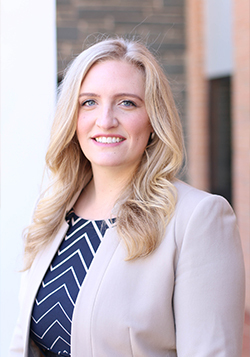 Her experience includes serving as the assistant director of Alumni Relations and director of the Annual Fund at Messiah College where she received her degree in Communications and a Business Administration minor. Passionate about Romans 1:16, she has led Bible studies with internationals and the women’s ministry at her church. Diane and Andy have two married daughters who are graduates of Ben Lippen School. Peggy Lee Manoogian has served in CIU Alumni Relations since 2005 and is an adjunct professor in the Music Department. An accomplished pianist, her diverse musical background includes theatre, performance, worship leader, and teaching. Peggy Lee has a background in business as the owner and operator of a music academy and musical instrument repair shop and is fluent in English, Arabic and Spanish.Peggy Lee has two sons: Jeremy, who is married to Christine; and Charley, a 2009 graduate. She is the proud grandmother of Abigail, Matthias and Melody. Other accomplishments: Attended American University of Beirut, Lebanon; Graduated from Roosevelt University with a B.ME and M.ME (Instrumental Music Education), Chicago, IL; Member of Music Educators National Convention and Music Teachers Association; Apprenticed in London, England in musical instrument repair; Transcribed Bedouin folk music recordings; Honorary Alumna (2009) of Columbia International University. Jennifer has been involved in various forms of ministry for over 2 decades and is thrilled to be a part of the Alumni & Development Team. Having served on several church Christian Education Ministry Teams and led multiple women’s Bible studies, she is passionate about CIU’s mission to “educate people from a Biblical worldview”. Jennifer received a degree in communications from James Madison University in her home state of Virginia. She also studied business and marketing, which she used to build a small business in custom and corporate embroidery. Her husband, Stephen, serves as the pastor of a local church, and they have four children – several of which attend Ben Lippen School. After a 15 year work hiatus to raise her children, Greta began serving at CIU Alumni Relations in 2015. Greta has over 20 years of experience in the field of marketing in higher ed, non-profit, small business, and corporate settings, finishing this period at Verizon where she worked in Market and Product Management, Strategic Planning, and Directed Channel Management for Network Services. Greta has an English degree from Georgetown University and an M.B.A. in Marketing from The George Washington University. She has served as a board member for the South Carolina Home Educators’ Association, and for SOAR, a sports outreach ministry of Cornerstone Presbyterian Church, where she also led women’s Bible studies, and where she administers an academic co-operative for homeschoolers.